Export Word to Unicode Text automatically. You are here: CoolUtils > Total Doc Converter > Export Word to Unicode Text automatically. RTF, or Rich Text Format File, is a format that is usually used by Wordpad application. 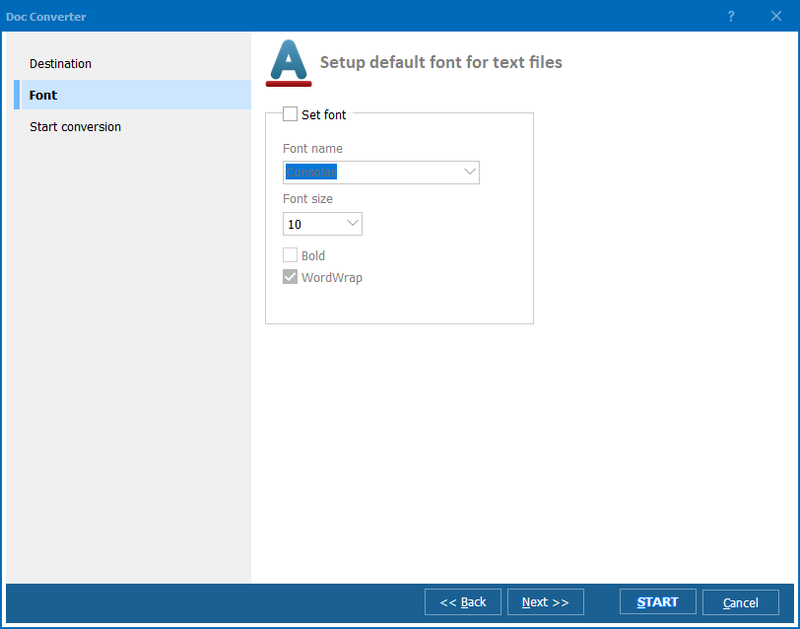 This format can include several types of text formatting, such as bold type, italics, different fonts and font sizes, custom tab settings, etc; it may also support images saved within the text file. Therefore, it is believed to be somewhere in between Word and text. Documents saved in RTF are relatively light-weight, but sometimes it pays to have text files saved in TXT format. There is an easy way to export RTF to Unicode text. Simply download Unicode text converter and have all your RTF files exported into TXT in a matter of minutes! 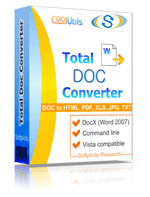 Total DOC Converter by CoolUtils is one of the converters available online. Having been developed by a company with extensive experience in software development, this tool is guaranteed to be efficient and easy-to-use. 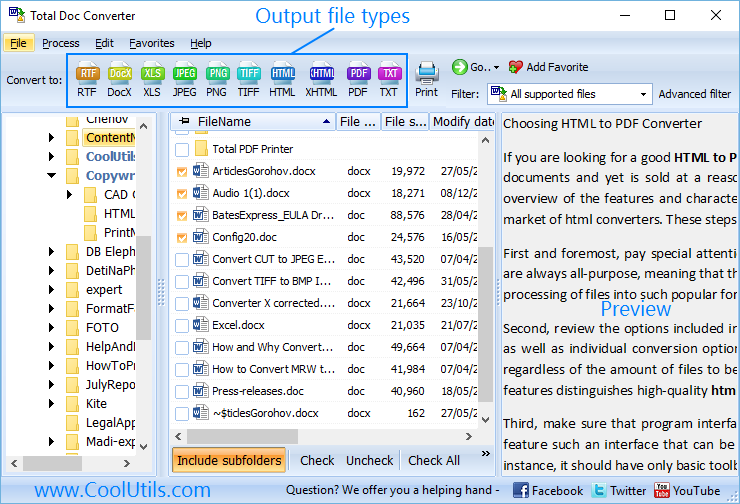 Download Total Doc Converter from CoolUtils website. 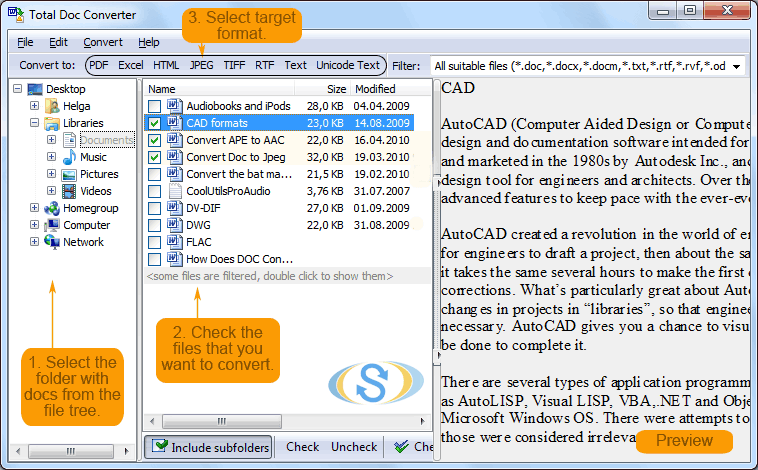 You can buy the fully functional version of the converter or download its free 30-day trial. Unpack the program and install it as usual. 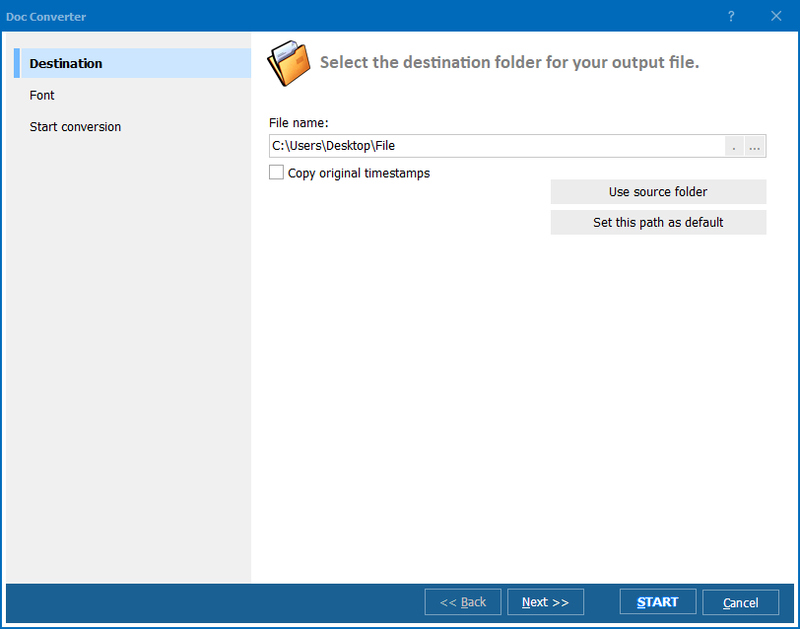 The wizard will ask you to select the destination folder, interface language and to create a desktop icon. Launch the program from the command line, Start menu or the desktop icon (if you've chosen to create it). Select RTF files you want to export by ticking them in the list of folders automatically generated by Total Doc Converter. Set TXT as target format by clicking on the "TXT" button in the top bar. Press "Start!" to begin automatic conversion. Total Doc Converter supports batch conversion, which means that you'll be able to process thousands of files in only a few minutes. Click here to download your free trial version of Total Doc Converter and use it for 1 month absolutely at no charge!